As one of the oldest established cities in Hernando County, Brooksville has played an important part in history. both as a trading center and a transportation hub. In the 1840's, Fort Desoto was established to provide protection for early settlers. A settlement just south of the fort was founded by the Hope and Saxon families, and named Pierceville. Another community named Melendez was also settled in an area northwest of Pierceville. 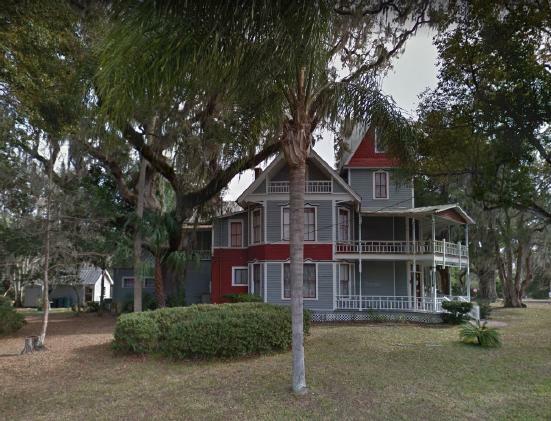 In the late 1850's the two towns effectively merged into what is now known as Brooksville, and the newly named town became the county seat of Hernando County. As a center of commerce, Brooksville played an important part in the Civil War providing supplies and cattle to the front lines for the Confederacy. During the war, Union troops advanced on Brooksville from Bayport in an attempt to crush the export business centered at Brooksville. The "Brooksville Raid" is commemorated each year in January at the Sand Hill Scout Reservation just west of town. The Hernando County courthouse situated at the center of Brooksville was built in 1913. It replaced a previous wooden structure that burnt down in 1877. The fire could have been acidental, or as some have speculated it could have been an intentional fire set in order to destroy court records. Either way, it is well established that central Hernando County and Brooksville was a wild and dangerous place in the late 1800's. In those years after the Civil War, many lynchings and killings were recorded. The building of a new brick courthouse was a testament to the resolve of residents to combat rampant crime and other injustice. Today, Brooksville is still a thriving center of activity and commerce - and much more civilized. It's hilly downtown area makes for an interesting stroll, with lots of restaurants and shops to grab your attention. The historic May Stringer house - dating from 1855, and the original 1885 train depot are a must see for history buffs. And for those who are interested in such things, ghost tours are offered of both locations. Just north of Brooksville is the Chinsegut Hill Manor House and Museum, where guided tours are offered. The house, built on the highest point of land in Hernando County, was built beginning in 1847.